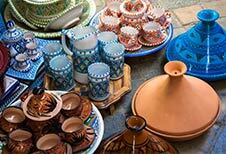 There's a certain elegance and casual sophistication with pottery and ceramic art. It has a decorative appeal, functionality, and a sense of style that stretches to ancient times. 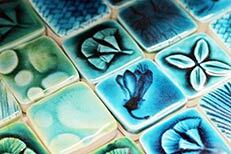 No other object has the ability to evoke a memory or embodies a backstory like studio created pottery. 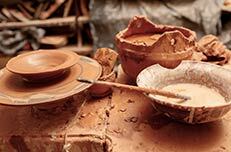 Like history or a family tale, pottery is meant to be passed along. Michael O'Dougherty, in San luis Obispo, is a specialty pottery and ceramics gallery offering unique decorative ceramics, functional pottery, and colorful cast stone décor. Our curators make an effort to showcase only quality lines and pieces from some of the most intriguing potters and ceramic artists from around the states. Colorful amphora, fountain vases, herb planters and asymmetrical plates are just some of what you'll find you'll find in our gallery collection.